Even if you like your job, it’s great to have some space for professional exploration, inspiration and education without the pressure of daily work tasks. Conferences cost money and require a day or more of your time. Meetups, on the other hand, are a perfect social and professional activity: monthly or weekly events with a local group from your industry. There you can learn and share knowledge with people directly, face to face. If there is no such event near you, start your own! 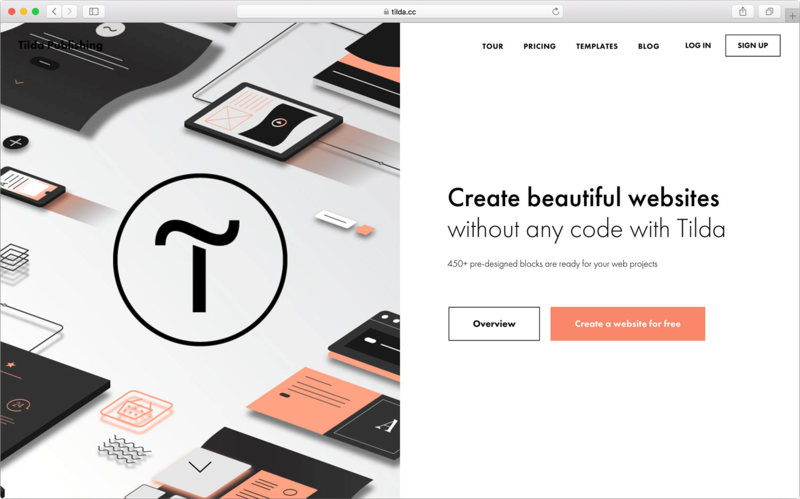 In this article, we will tell you how to effectively organize a meetup with RealtimeBoard and Tilda Publishing, a tool for creating beautiful and easy websites or landing pages. 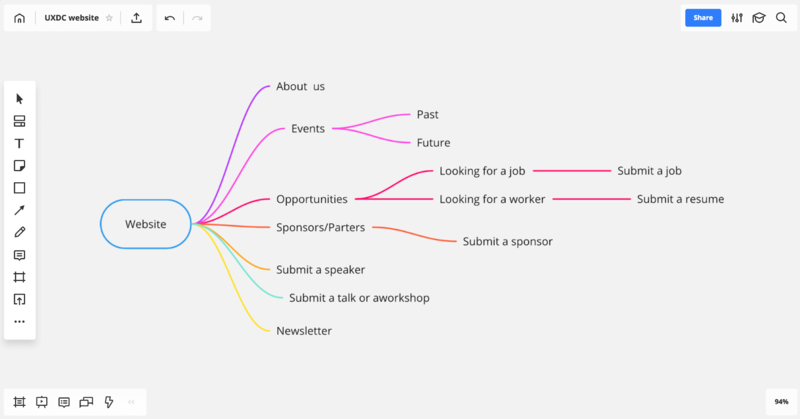 Why organize an event or community? How can you do it without spending a lot of time? 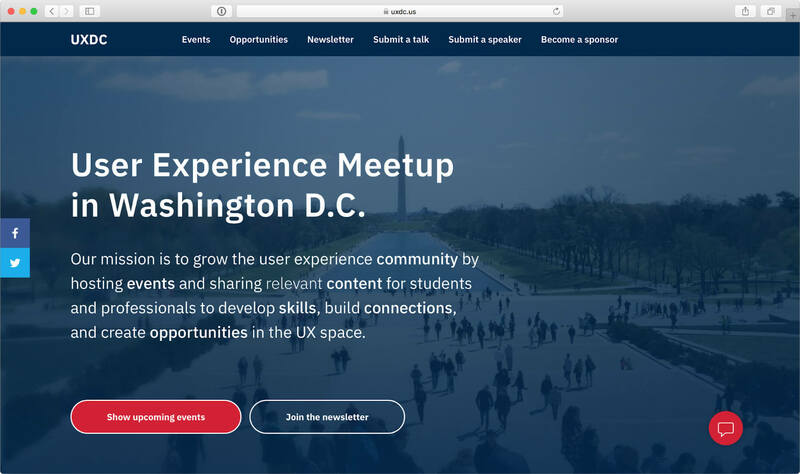 Together with a couple of like-minded professionals, I organized a user experience meetup in Washington D.C. and decided to share my experience, advice and hacks. Organizing multiple events on a monthly basis takes time and resources. Initially, the founder of the UXDC meetup Luke Miller did not have enough time for planning, and there were no meetups for six months. 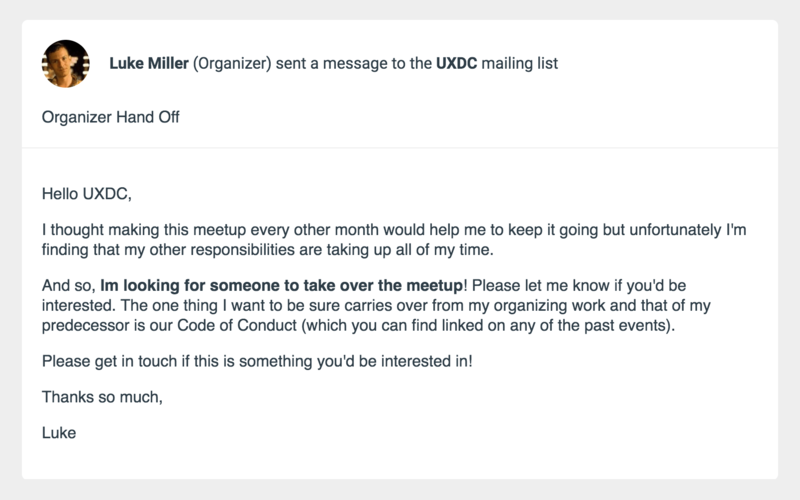 The founder of the UXDC meetup was looking to hand off management of the community. Now a group of four people on the board of UXDC act as a nonprofit organization. I’m one of them. It could take from 30 to 90 minutes to get to the same place in a big city. It takes just five minutes for everybody to appear in an online meeting, and the quality of discussion will be the same or better. You could have a productive remote board meeting right before evening dinner with your family. 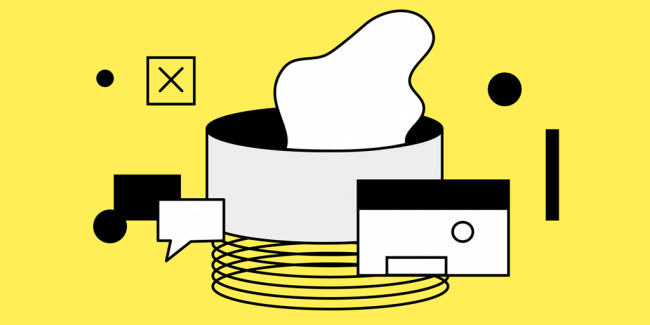 Save your time by managing meetups in a big city remotely (we prefer Google Hangouts). The great thing about defined roles is that they prevent you from spending too much time. You do your part of the job and rely on your partners for all other areas of responsibility. Mutual respect and clear expectations drive the management of the process. We have bi-weekly meetings, but decisions about a particular subject are delegated to each area of responsibility. This saves time and produces the best possible outcome. It’s essential to act transparently so coworkers can get the information they need without asking you. Google Drive is a good tool to store traditional documents. Determine who will keep meeting notes and keep shared documents in shape. Having a recording in front of everybody’s eyes during the meeting is very helpful. You can do that even without sharing a screen; just ask everybody to open the Google Doc to see the same text and cursors. Google Docs become messy pretty quickly and you have to spend some time finding what you need. The best tool to have everything at hand during remote communication is RealtimeBoard. 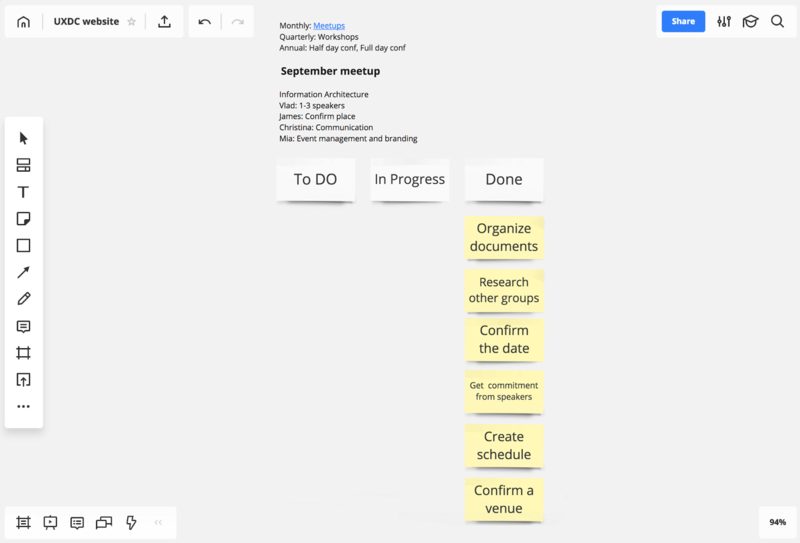 On one big board, you can place documents, links, diagrams, notes and much more. For us, RealtimeBoard was the fastest tool to manage different aspects of event organization without having to open a bunch of browser tabs. We started by embedding the main document to constantly have it in front of us; we could also easily edit it from the same place. We placed links to frequently used files and folders under the main document so anyone could access records immediately. Next to the useful docs, we created a Scrum board, so we can easily put all our to-dos in RealtimeBoard without needing an additional tool. You can create an RSVP list with Meetup.com, share events on Facebook and Eventbrite, and promote them via Twitter and Instagram. However, we suggest you have direct communication with your members via email. Bear in mind that if 100 people confirmed their attendance, you will be lucky if 50 actually attend. Don’t think that all of your Meetup.com group members read meetup organizers’ notifications. 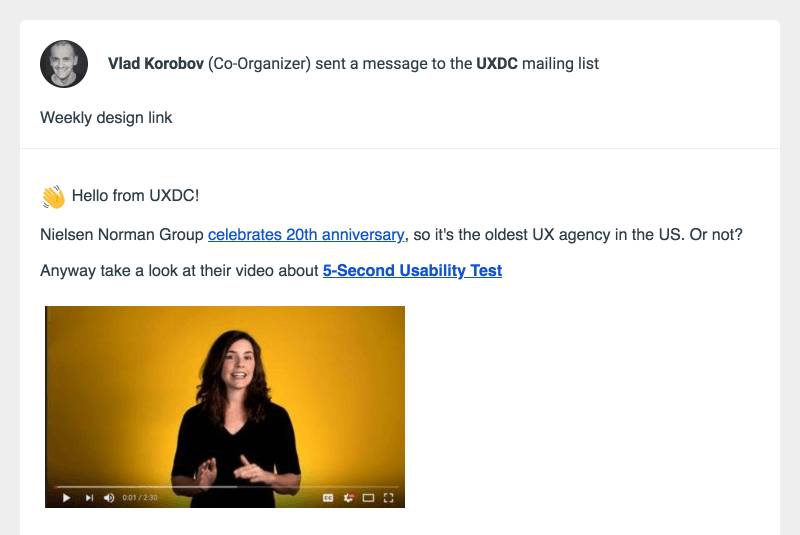 After six months of inactivity, the UXDC group had 2,000 members, but only 33 reacted to our first email. So with such numbers from meetup.com notification, we could think about 20% open rate and around 8% click through rate which is better than the industry average. But I believe if we have emails of 2,000 local members we could do at least twice better. 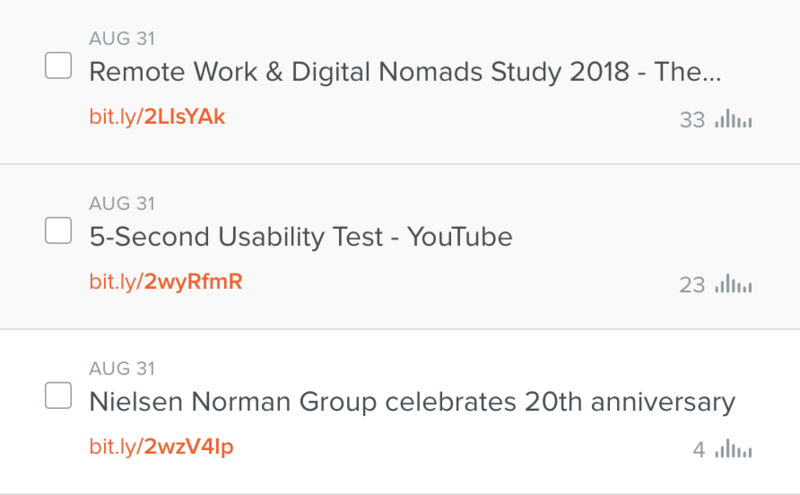 To check how many people have read your emails from Meetup.com, create tracked links in the text (for example with bitly.com). After a week, check the number of clicks on exciting content in your email. You are on the right track when you have events lined up in the future, especially when you have to find a place to host each meetup. Coworking spaces and offices of big enterprises would welcome you, but they require booking upfront. 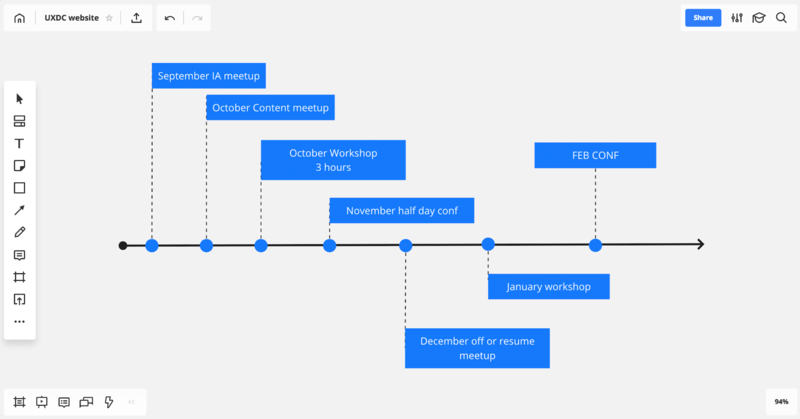 Create a draft calendar and start looking for speakers, workshops and happy hours for future events. I suggest planning up to six months in advance. 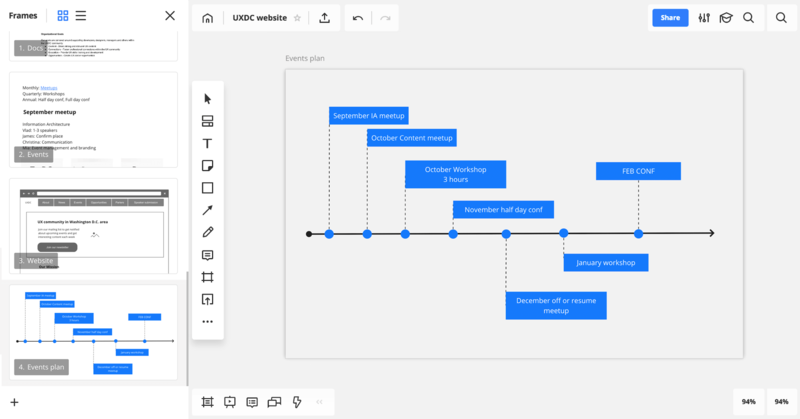 You can visualize your events plan in order to share it in the future with your community. 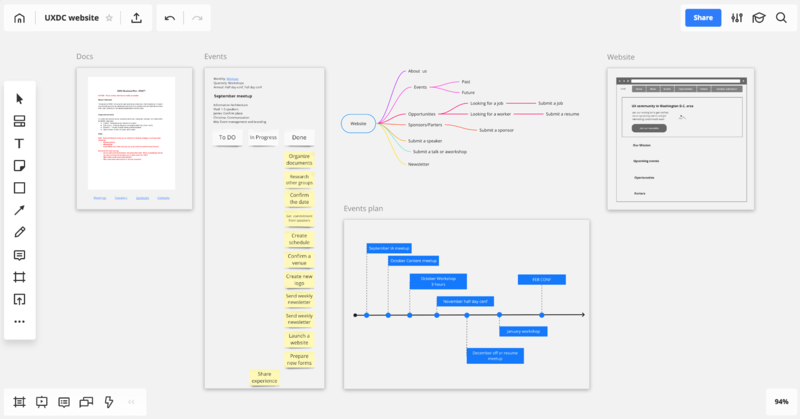 We used RealtimeBoard’s “customer journey map” template to do that. Why would you need to create a website or landing page for an event? 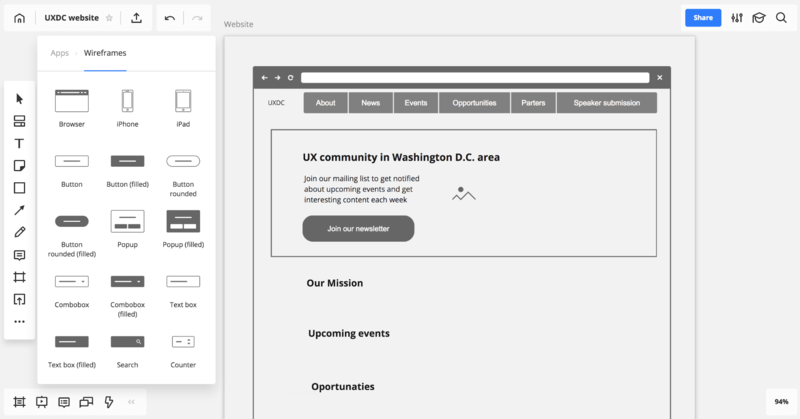 We started prototyping the UXDC website in RealtimeBoard because it was the easiest and most straightforward way. You can use wireframing elements or just triangles and text labels. Navigation on the board is smooth and intuitive. I like how RealtimeBoard supports the MacBook trackpad. Frame-by-frame navigation eliminates any extra scrolling. Board members had experience with and were capable of creating a website from scratch or with WordPress, but we were looking for the best balance between simplicity and flexibility. We also didn’t want to spend extra money on hosting, technical support or theme customization. Tilda is a tool where you can construct webpages from blocks, and there are more than 450 blocks in Tilda’s library. Tilda’s team keeps track of all the latest trends and puts all the best practices of web design into place for their clients’ usage. In two days we launched a multi-page website with different form-acceptance and landing pages for our Information Architecture event. A website is not only the face of your community but also an automation tool. Tilda has a form builder with data acceptance to multiple places. 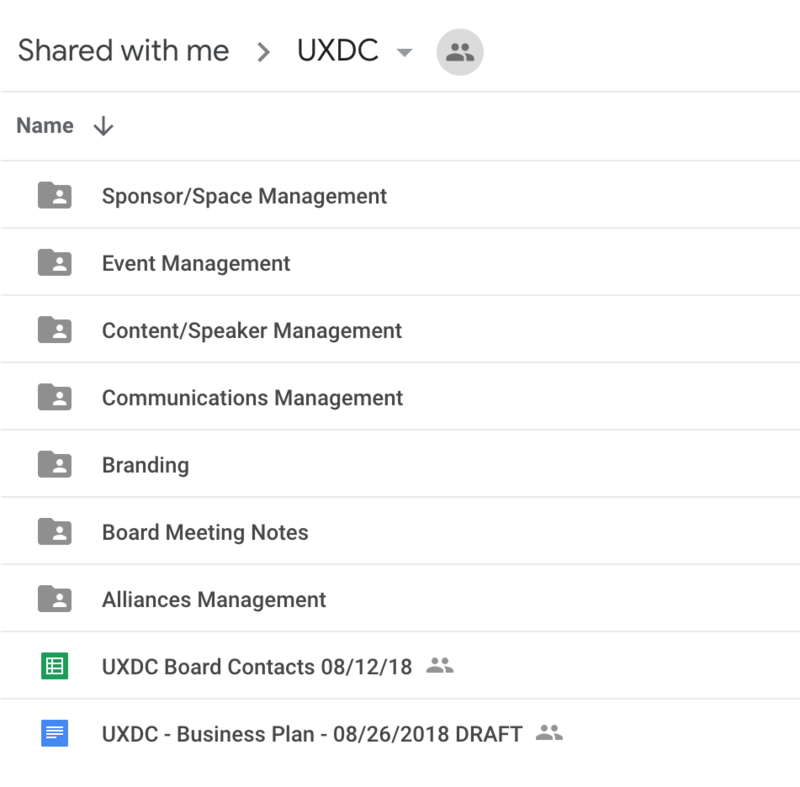 Data from our speaker submission page goes to the common email box uxdcinfo@gmail.com, which each board member has access to, and a spreadsheet on Google Drive to keep the backlog of all speakers. We can respond to any request quickly right from our Gmail account, and at the same time, we have data stored in our shared docs folder. 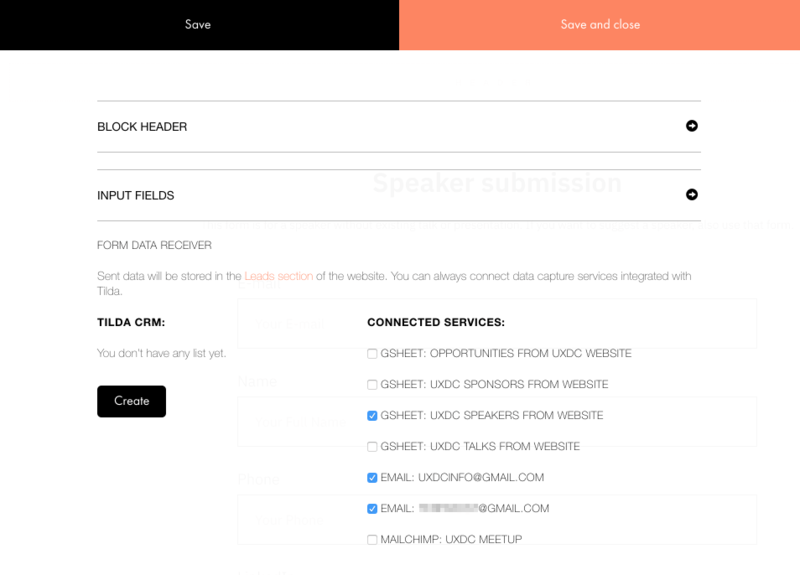 Looking for a tool to sync with your team and organize a meetup? With just two great tools, our team of four was able to remotely organize a local meetup in a big city without spending a huge amount of time. We encourage you to try RealtimeBoard for creating a central place for quick ideation and management and keeping all the information you need at hand. Try Tilda Publishing for your community website or event landing page. If you know someone who organizes events or thinks about creating a local community, we encourage you to share this post with them! 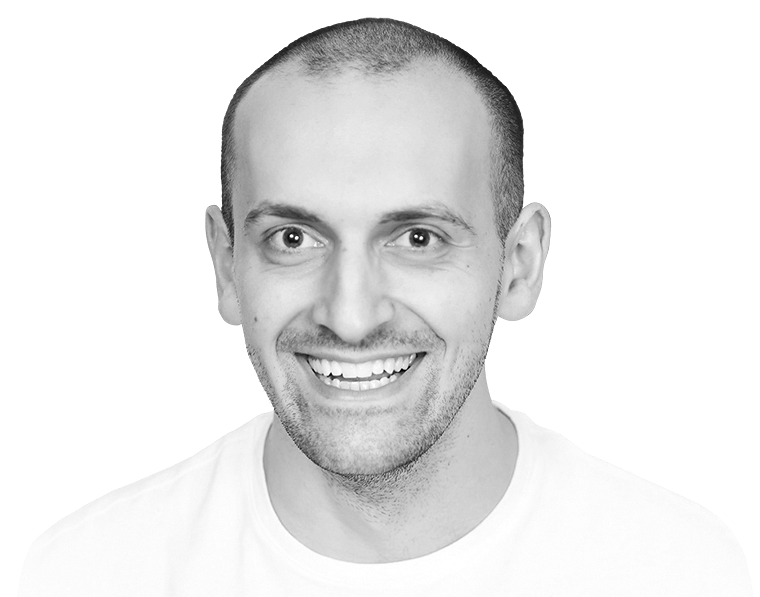 is a full-stack product manager and co-founder of Live Typing and Trigono game. You can follow him on LinkedIn.